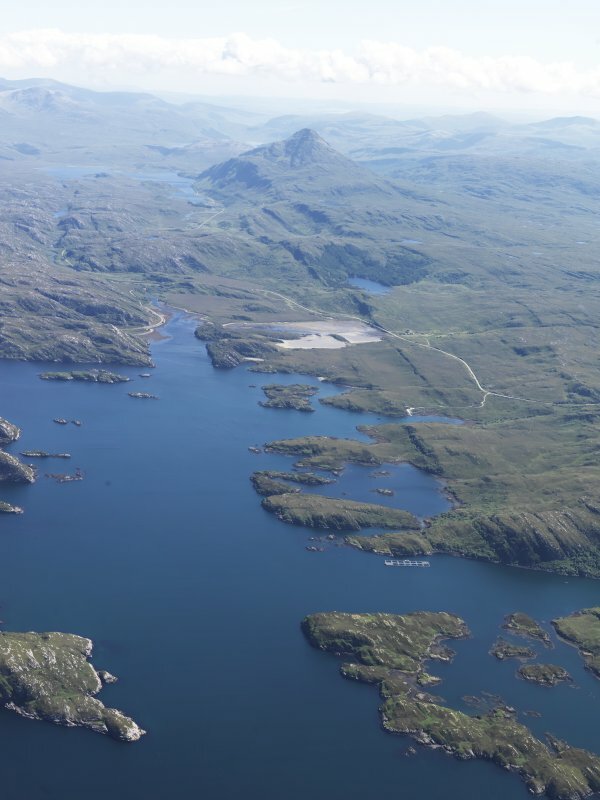 General oblique aerial view of Loch Laxford with Ben Stack beyond, taken from the WNW. 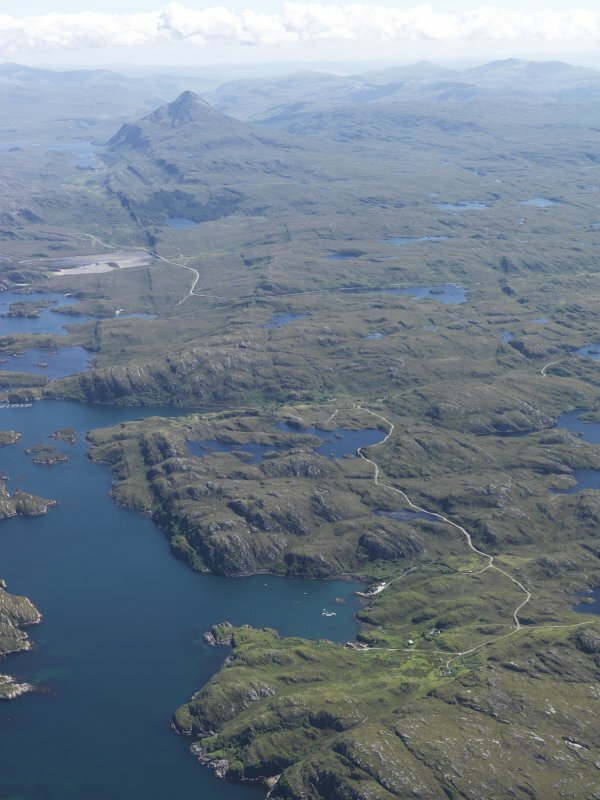 Oblique aerial view of Laxford Bridge, looking WNW. (Location cited as NC 237 468). 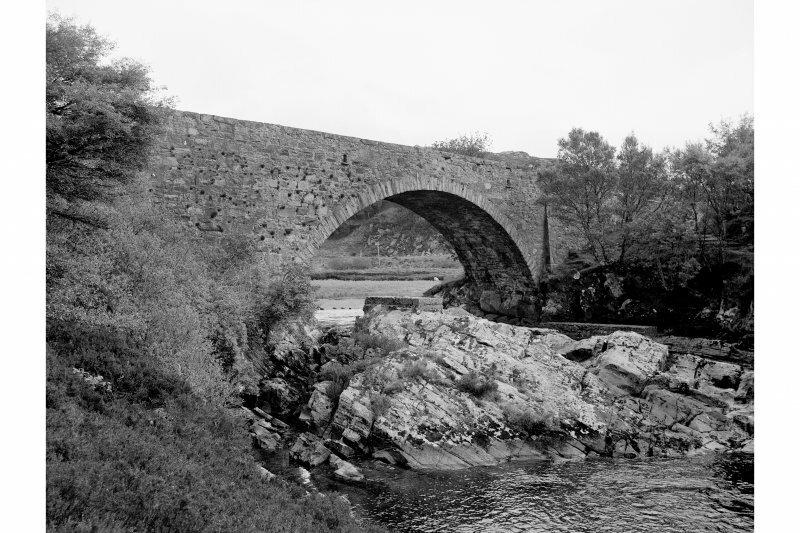 Laxford Bridge, c. 1834. A large single-span rubble bridge with a segmental arch. Yet another handsome bridge, built about 1834, probably by the same team of engineers and masons as Rhiconich (NC25SE 7) and Drochaid Mor (NC36SE 21). 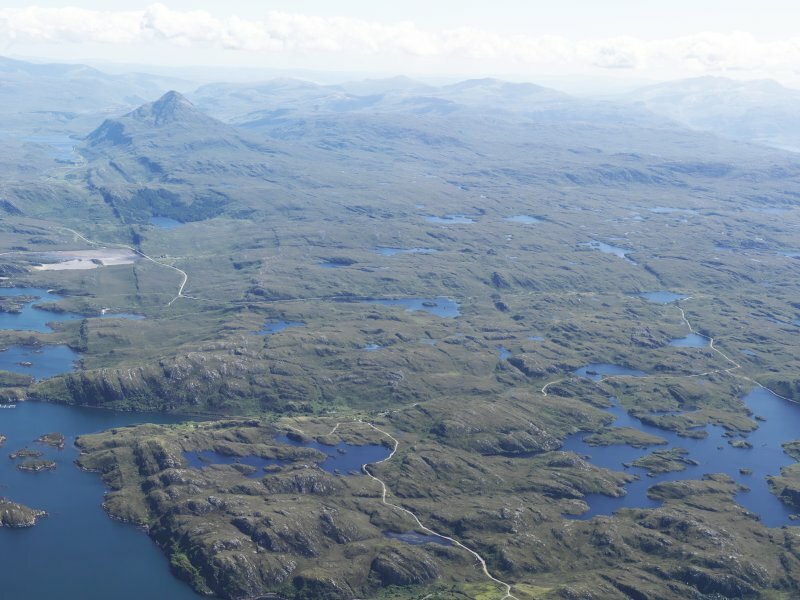 It is on a fine stretch of water where the Laxford makes a huge S bend and the river is wide. Notice the neat lipped drainage holes in the spandrels at road level. The abutments are battered but join smoothly into the spandrels without the step. 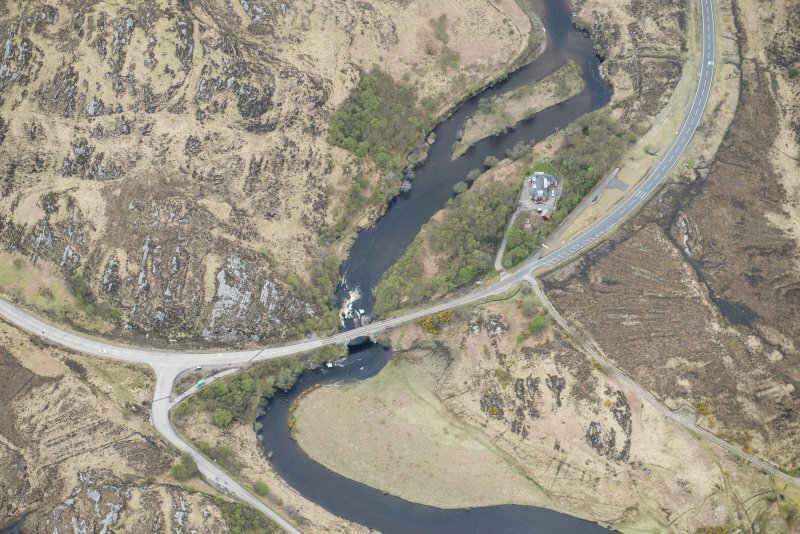 This bridge carries the A838 public road over the River Laxford close to its entry into Laxford Bay. Information from RCAHMS (RJCM), 29 April 1998.